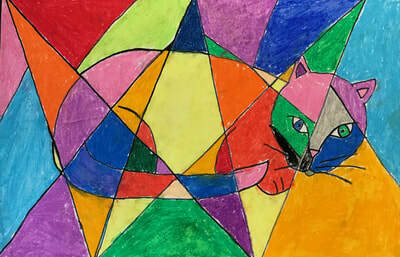 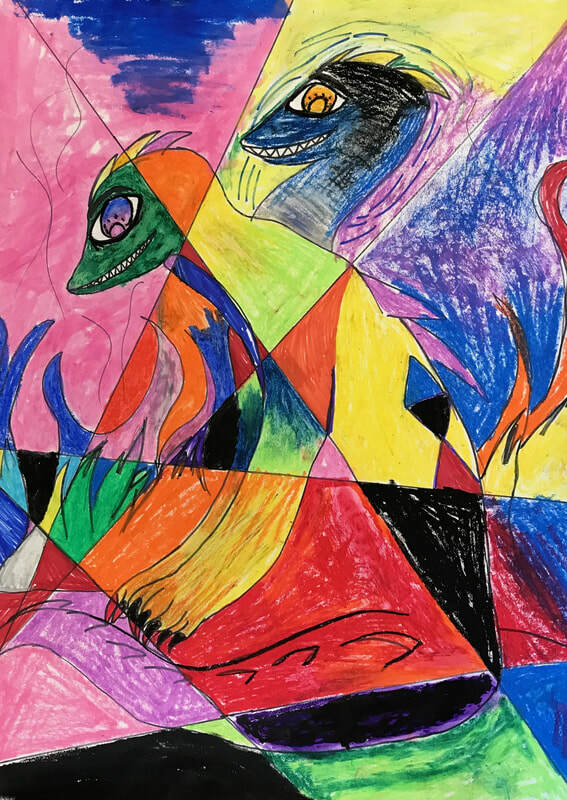 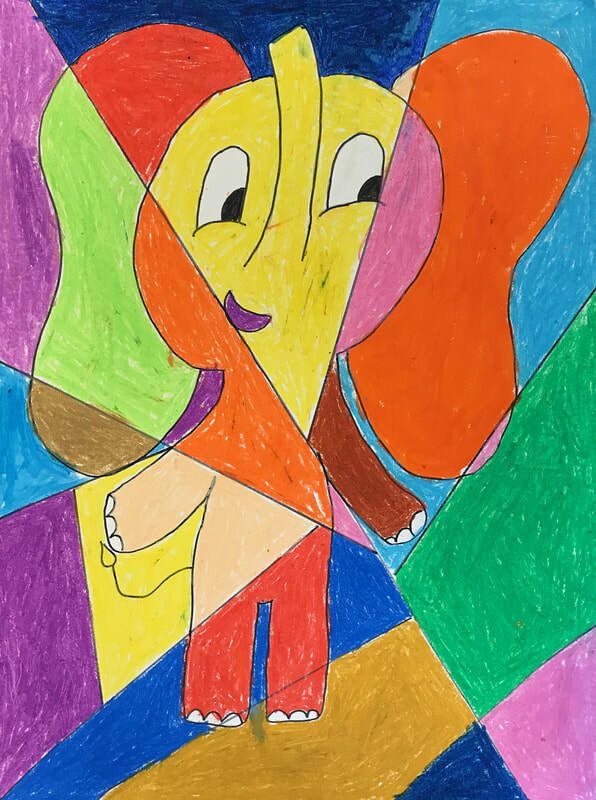 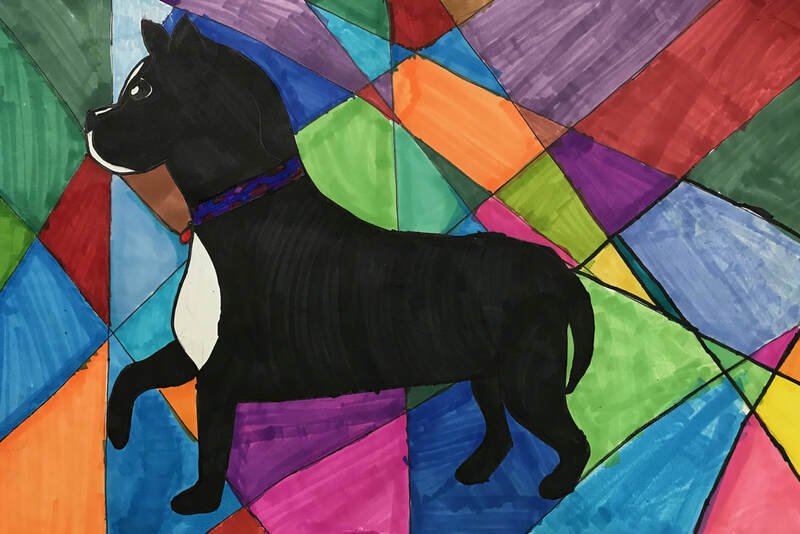 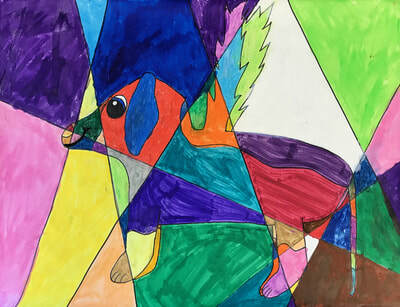 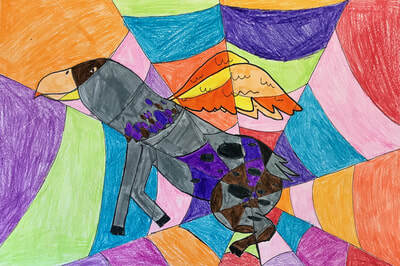 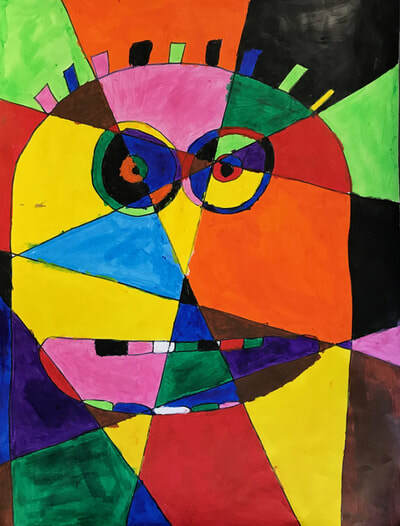 Students learned about Pablo Picasso and the Cubism movement and then created these colorful animal portraits. 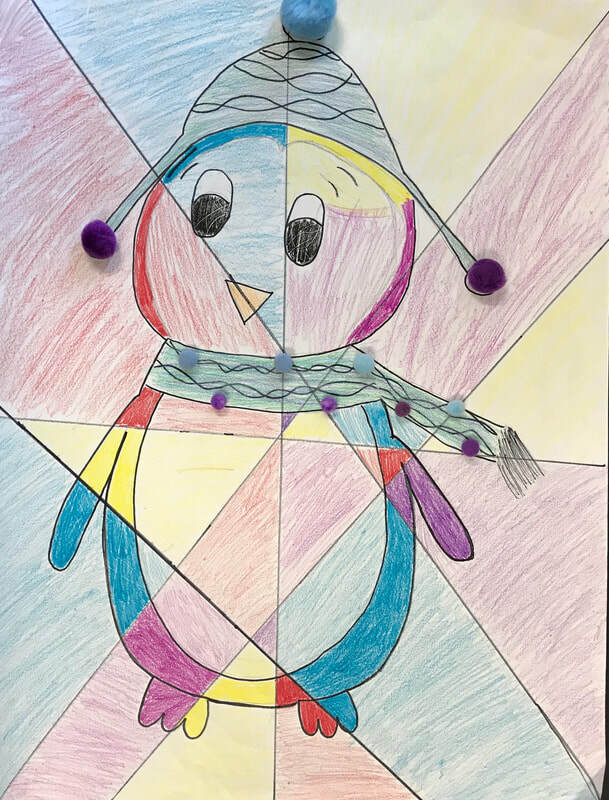 Students explored multiple different materials as they introduced color to their compositions. 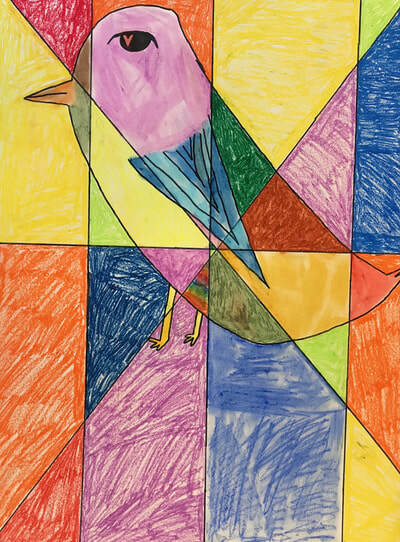 They thoroughly enjoyed the varied results that were achieved.